Obviously the dictionary does not equate hunting with conservation. One is defined as catching or killing and the other as keeping from injury. 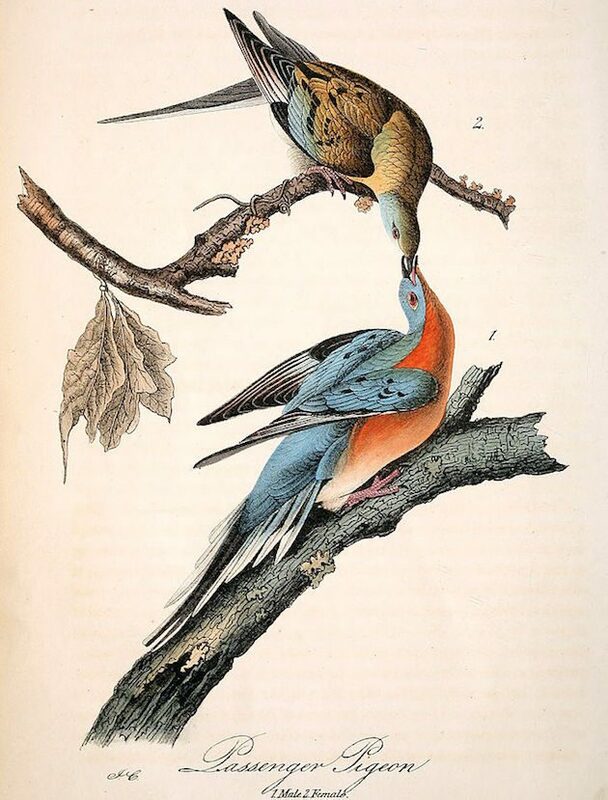 I think we all remember the fate of the Passenger Pigeon? 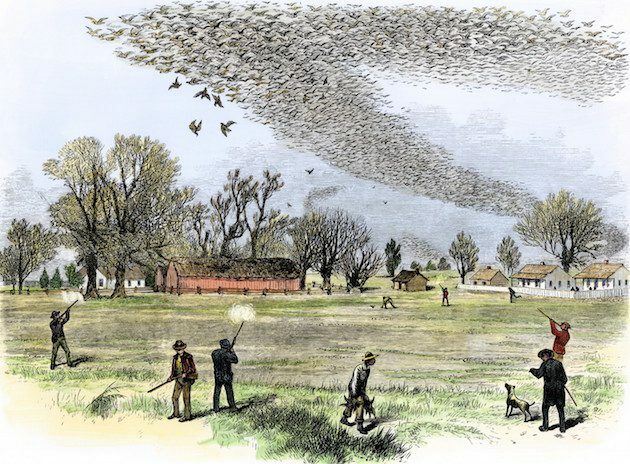 Contemporary environmentalism arrived too late to prevent the passenger pigeon’s demise due to market hunters, but the two phenomena share a historical connection. According to Stanley Temple, a professor emeritus of conservation at the University of Wisconsin, “the extinction was part of the motivation for the birth of modern 20th century conservation.” In 1900, even before the last Passenger Pigeon’s death in the Cincinnati Zoo, Republican Congressman John F. Lacey of Iowa introduced the nation’s first wildlife-protection law, which banned the interstate shipping of unlawfully killed game. “The wild pigeon, formerly in flocks of millions, has entirely disappeared from the face of the earth,” Lacey said on the House floor. “We have given an awful exhibition of slaughter and destruction, which may serve as a warning to all mankind. Let us now give an example of wise conservation of what remains of the gifts of nature.” That year Congress passed the Lacey Act, followed by the tougher Weeks-McLean Act in 1913 and, five years later, the Migratory Bird Treaty Act, which protected not just birds but also their eggs, nests, and feathers1. Even with today’s environmental laws, we are losing species at an alarming rate, and with Ryan Zinke as Interior Secretary it’s no wonder. A newly created U.S. advisory board, the “Wildlife Protection Board,” has been created to help rewrite federal rules for importing the heads and hides of African elephants, lions and rhinos is stacked with trophy hunters, including some members with direct ties to President Donald Trump and his family2. 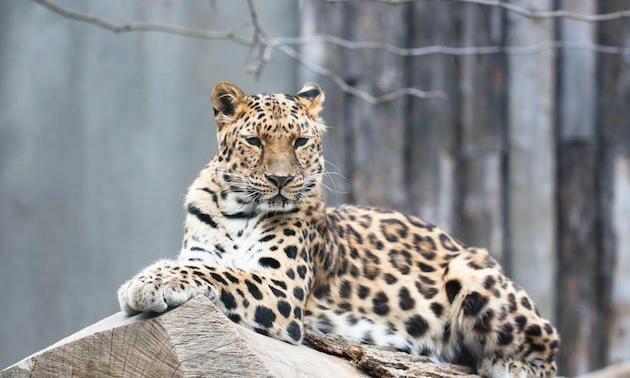 The Amur Leopard (Panthera pardus orientalis – above) is just one majestic animal on the Critically Endangered (CR) list with less than 100 individuals in the wild due to hunting for its fur. Asian Elephants and Indian Elephants (Elephas maximus indicus) are both listed as Endangered (EN) on the ICUN red list. Of course, by now most people know they have been slaughtered by hunters for their ivory. 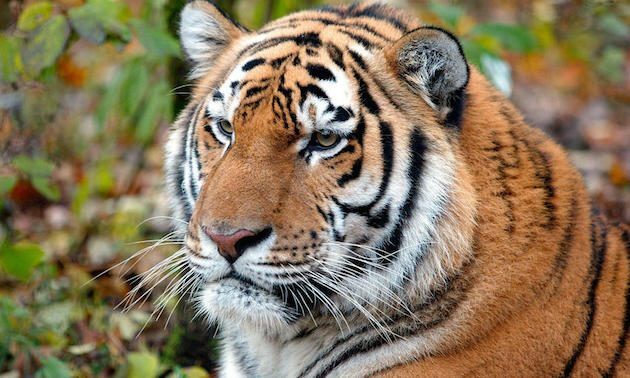 With as many as 540 individuals in the wild the Amur Tiger (Panthera tigris altaica) is also listed as Endangered, being hunted for not only their fur but body parts as well. 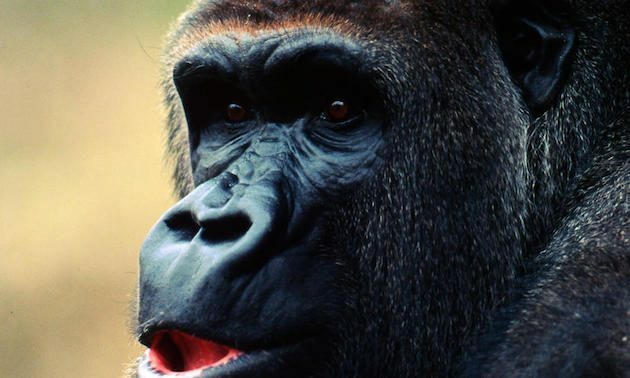 With an estimated 200 to 300 individuals left in the wild, the Cross River Gorilla (CR) (Gorilla gorilla diehli) has been hunted to near extinction. Why is this happening? People don’t respect wildlife. Some people actually don’t consider human beings as animals. Some people think humans are superior to all other life forms. These beliefs allow them to treat other animals however they see fit. Thank God most human beings have developed a more modern view of wildlife and acknowledge that some animals display sufficient consciousness and self-awareness to deserve moral consideration. 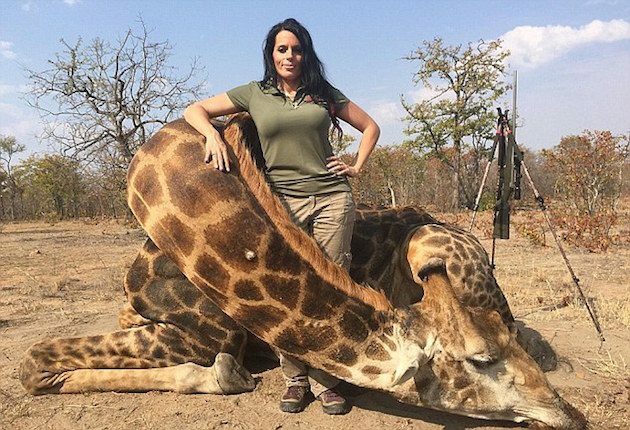 Why would any human being think that killing a Giraffe (Giraffa) is a good idea? They are listed as Vulnerable (VU) on the IUCN red list. Even more disconcerting to me than these “trophy hunters” killing wildlife for “sport” is the belief by some that carnivores such as bears and wolves should be eliminated. 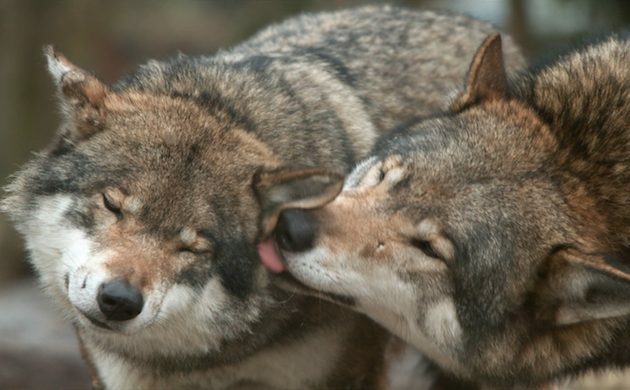 The persecution of these apex predators, especially wolves, is rampant among some hunters and cattle ranchers. But I digress. It is obvious that hunting is NOT conservation. I point you to a post I wrote a couple of years ago on “Wildlife Conservation Myths” that not only pertains to this subject but offers a disturbing trend of Republicans attempting to remove or diminish many of our public lands. These policies have actually gotten worse since the advent of the Trump Abomination, I mean Administration. If you want to argue the financial side of conservation, I refer you to my December 2014 post titled “The North American Model of Wildlife Conservation and Who Pays for It.” I’ll give you a hint, it’s not hunters! Last but not least, I will leave you with a VERY disturbing video of Sandhill Crane hunting in western Oklahoma. WARNING!!! This is a very disturbing video of Sandhill Cranes being slaughtered by “hunters.” If you have a weak stomach, I advise you NOT to watch this video. Piss poor definition of conservation: check. Conflation of all forms of hunting as the same: check. 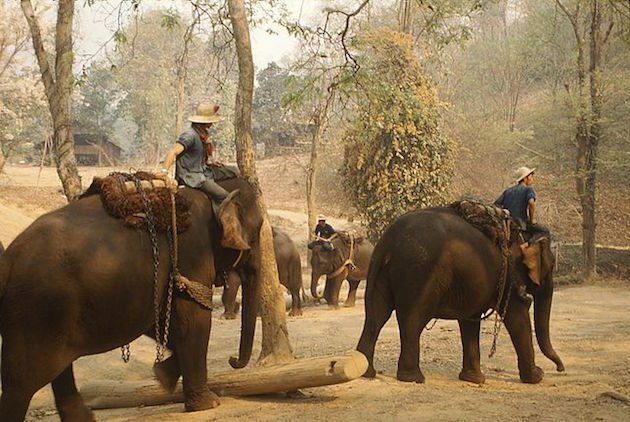 Conflation of animals rights and conservation: check. Barely concealed moral superiority: check. Best click-bait post of the week! Definition of conservation: Webster’s dictionary. All forms of hunting are killing. Don’t see no scarecrows here. All animals have the right to live, even humans. I didn’t mean to conceal the moral inferiority of hunters. Best click-bait post of the week! THANKS Duncan! I don’t know, Duncan. 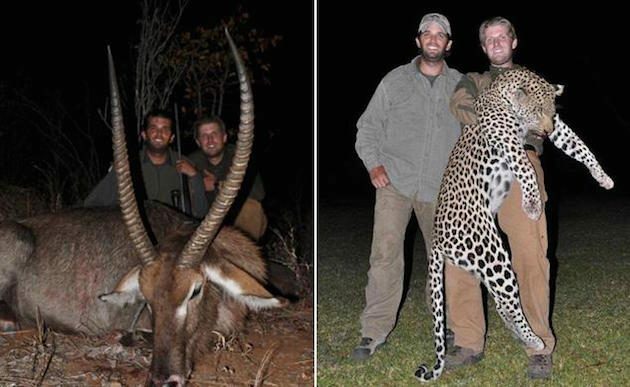 Your position on this issue is well-defined, but you have to admit that these examples of hunting are clearly not in any way related to or driven by conservation. Sure, some of the money hunters pay for their privileges may go towards habitat protection, but those are collateral benefits. You may also say playing the lottery is teaching, since some states divert a share of lottery money to public education. Some hunters may be conservationists and vice versa, but the two activities are not the same and sometimes work at odds with each other. You’re right Mike. No hunting is driven by conservation. Hunters pay a minimal amount of money to deprive the rest of humanity from the benefits those prey provide. Some hunters indeed may be conservationists but it has nothing to do with their hunting. I could write an entire post refuting this line by line. But let’s deal with it differently. Birding isn’t conservation. Birding is birding, and birding involves disruptive playback that often specifically targets rate and vulnerable species. Birders often enter sensitive areas and disrupt natural roosting behaviour. Birders travel widely and expensively, adding CO2 to the atmosphere, for the acquisition of ticks and require lodges to be built in fragile ecosystems to sustain their profligate hobby. All of these things are birding and are bad so birding is bad. And Mike, if you’re arguing that people in conservation think that poaching critically endangered species is a conservation good I really can’t be bothered to engage anymore. I agree that there are birders and especially wildlife photographers that do not contribute to conservation but to its antithesis, environmental decline. Obviously our actions matter. I’m certain there are birders that don’t give a damn about anything but getting that tick or photogs that bait owls and worse to get great photos. I am also certain that there are hunters that humbly give thanks for an animal that they kill for food to feed their family (obviously trophy hunters are not among those). However,this article is about whether hunters are conservationists. They may be, but if so, it has nothing to do with their hunting. I know you guys are just having a bit of fun, but posts like this are unhelpful at best. Most of the other articles in this series were light-hearted jests at “controversy”. This one is not and painting an “us vs. them” mentality can do real harm. It’s not hunters who are on here reading, but birders. With this platform 10,000 Birds has an opportunity to do some real education. As was pointed out, under this Administration we are seeing public lands under threat. This is not the time to lump poachig, predator management, trophy hunting, and historic market hunting under the same umbrella. As birders we should be looking for any allies who are contributing to the protection and enhancement of wildlife and habitats. While there are certainly critiques to be made about the seeming prioritization of the general “consumptive first” approach to conservation, painting with such broad strokes misses much. I appreciate the blog, but I urge some mindfulness. Thanks. FYI PIttman-Robertson Act funds brought in $1.65 billion to wildlife conservation in 2013. That is not a minimal amount of money. Well aren’t we lucky that you’re a telepath able to look into the minds of hunters and tell us that. As many have mentioned, this paints with an incredibly broad brush, lumping together many different activities that bear little resemblance to each other. One can believe that hunting deeply endangered animals in Africa is different than legally hunting ducks with a permit in Minnesota. I suspect that’s the majority opinion, in fact. Moreover, there are arguments that hunting would benefit some species, particularly some geese that are causing habitat degradation in Alaskan breeding grounds because there are simply too many of them. Like Tim, I am not sure posts like this are productive. I didn’t plan on writing a “productive” post Tim. I agree that hunting endangered species is not the same as hunting ducks with a permit. It doesn’t change the fact that killing animals is not conservation, whether it is poaching or killing ducks with a permit. The link below is from Ducks Unlimited but there are many articles and scientific papers with the same information. Simply put, there are way too many light geese in fragile habitat and they are causing significant damage. There are too many because of human activity and many think it would be better for habitat (and other species) if there was increased hunting to reduce the numbers. 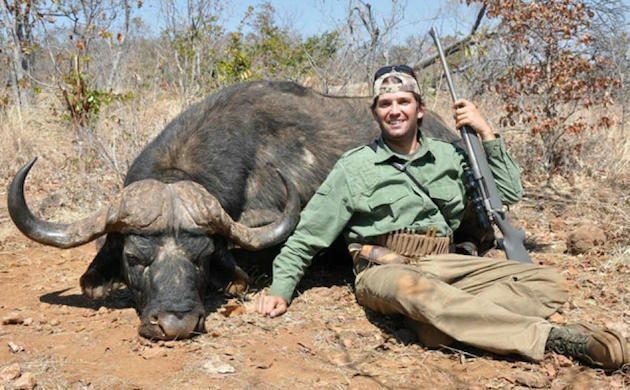 I would submit that that position is different than trophy hunting endangered animals. Indeed, one could argue that such hunters are conservationists. But this post allows for no nuance or distinction between things that are obviously different. This leaves me to suggest the problem is a human one. There are way to many humans on the planet. We need to promote zero population growth. Nor can I see how the article supports your conclusion. Hunting apparently mitigates some of the damage the overabundance of light geese cause on their breeding habitat. Reduced hunting for these species means more damage to habitat, not less. I cannot see how anyone could dispute that. I find this absolutist intolerance and immunity to argument troubling and damaging to the cause it purports to champion. @Jason I admit I didn’t state my point very well. You are correct that hunting the light geese mitigates some of the damage they cause but the article states it is inadequate to solve the problem. I was not trying to dispute that point. My point was that the reason for the overpopulation of light geese was partially caused by man increasing agricultural activity. The article states “In recent decades, light geese have become more widely distributed as the birds have shifted to a diet largely consisting of waste grain and other agricultural foods during migration and winter.” In other words, mankind has changed the animal’s behavior due to the need for humans to increase our food supply. Hence my conclusion that there are too many humans on the planet. I am very disappointed in 10,000 Birds for running this post. The only result of this post will be to further harm bird populations in the U.S. Hunters and birders largely share the same interests – maintaining healthy ecosytems where wildlife can thrive. Birders and hunters should be united in this, not divided which is the intent of this post. Virtually the entire national wildlife refuge system was funded by hunters through the duck stamp program, so the argument that hunters don’t contribute to conservation is laughable. 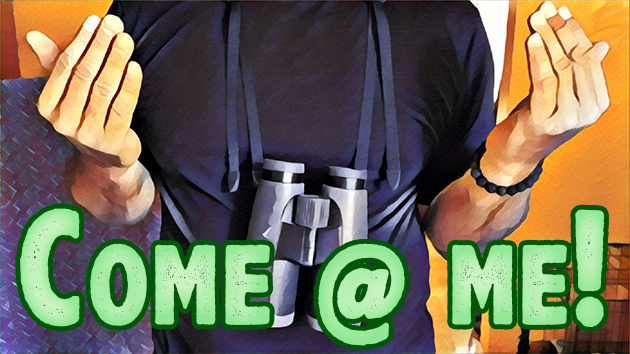 There are many hunters who are also birders; the comments by 10,000 Birds subscribers on this post attest to that. I am an avid hunter and my life list is 3,080 birds after birding on every continent but Antarctica. When the Bundy’s took over the Malheur NWR, there were no representatives of birding organizations who dared infiltrate their press conferences carrying signs that said “keep public lands public.” But Backcountry Hunters and Anglers had the balls to do just that. This is just one example of how hunters and birders share the same cause, and the only losers of attempts to divide these groups are the birds we all love and cherish. Nowhere in this post does it say that “hunters don’t contribute to conservation.” The title of the post and the text throughout states that “HUNTING” is not “CONSERVATION,” and I stand by that. Of course hunters contribute to conservation, so do birders and other wildlife enthusiasts. To those reading the comments who aren’t Larry, I implore you to keep an open mind when it comes to hunting and hunters. Many hunters and anglers care deeply about the natural world and contribute their time and money to protecting it. Furthermore, many of the dedicated public servants working in our State and Federal wildlife agencies are avid hunters. As all the above commenters have pointed out, we are all enjoying the same resource and lands. If you want to move conservation forward write here (https://www.doi.gov/contact-us/) or here (https://naturalresources.house.gov/contact/) to make your voice heard. Buy a duck stamp to support waterfowl research and conservation. Or contribute to one of the dozens of quality national or local conservation organizations that do good every day. I know for a fact that hunters are. Birding isn’t conservation. Photography isn’t conservation. Listing surely isn’t conservation. And writing an article for clicks isn’t conservation. come@me! Clickbait achieved. Birding isn’t conservation. Photography isn’t conservation. Listing definitely isn’t conservation. come@me! Larry, I guess we are now in agreement. Hunting can be consistent with conservation. It feels good doesn’t it Jason? Tim, let me know if you want to write a guest post. We’ll be happy to run a “Birding isn’t conservation. Photography isn’t conservation. Listing definitely isn’t conservation” post. Just email me directly to discuss. Interesting that this post got more replies than any other. Conservation started with the “wise use” of natural resources at the beginning of the 20th century after the slaughter of birds and lumber clear cuts. The contention to this day remains a split between “conservation” and those who we call “preservationists.” T. Roosevelt and Ring Darling and others are the former, John Muir and Thoreau the latter. Almost every conservation org. advocates hunting as a “conservation tool,” whereas the preservationists and protectionists advocate the inherent worth of species to exist without human interference–hunting or anything else. I think Larry’s point-and I agree 100%–is that all of our present day ecological mess is anthropogenic in origin, from invasives to wildlife “mismanagement” (blame overabundant geese etc. on our “game farms”) to climate change. There’s certainly no “right to live” in nature, but there is a right for species to exist and flourish and live out its evolutionary lineage, one that far surpasses Homo sapiens in time on earth. Thank you for your thoughtful comment Jeffrey. I suppose I consider myself an environmentalist. I believe in wildlife and habitat conservation and the safeguarding of biodiversity. I believe in the inherent value of wildlife regardless of whether individual species are recognized as having utilitarian or aesthetic value to humankind. As you stated, all species have a right to exist and flourish, notwithstanding the actions of some human beings.